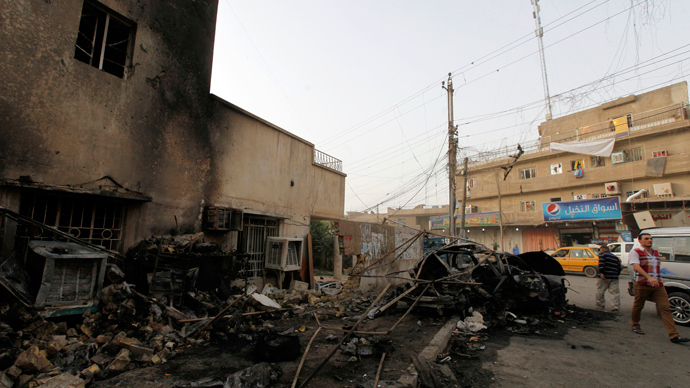 A string of violent attacks and suicide bombings targeting security forces across Iraq on Tuesday have killed at least 17 people and injured 45, according to local reports. Deadly suicide bombings and armed attacks killed 16 members of the Iraqi security forces and wounded about 35 more in Iraq’s western province of Anbar, Reuters reported citing police sources. Meanwhile, other reports said at least one policeman was killed and six injured in a car bomb explosion in the Iraqi province of Babel. 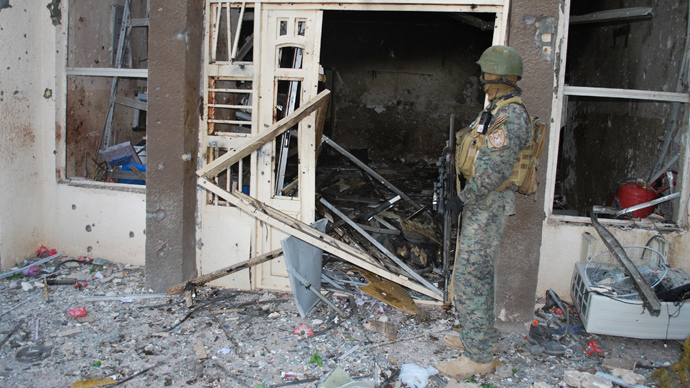 In Nineveh, four more people were injured in another militant attack. 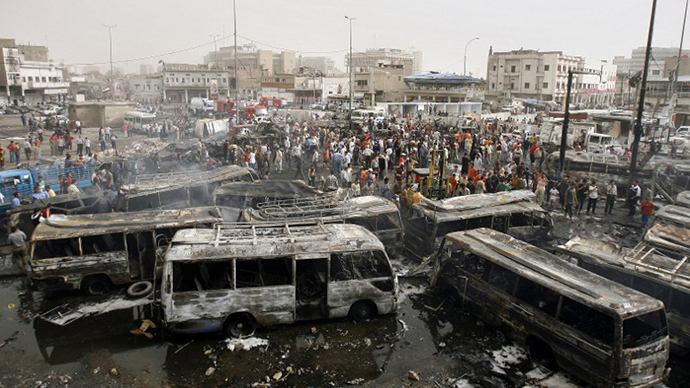 The violence follows a spate of suicide bomb attacks in and around Baghdad on Sunday, in which more than 50 people were killed and dozens injured. Iraq is in the midst of the worst outburst of militant attacks and bombings since 2008. More than 5,000 people have been killed in terrorist blasts and sectarian violence this year, with over 400 losing their lives in October alone.